No matter what credentials you type it wont accept. The effect is that your call history and voice mail is un-populated. When the Lync client signs in, it also attempts to retrieve availability data via Exchange Web Services. It does so via the Autodiscover functionality built into Exchange. Lync Communicator will issue SOAP requests (over HTTPS) to the published Autodiscover server, who returns the URLs for the Microsoft Exchange Client Access Server(s) that will feed the availability data back to Lync Communicator. When Communicator attempts to negotiate authentication using your cached credentials (over the Internet), it will fail with a “401.2 Unauthorized”, and subsequently prompt you for authentication as above. If we force NTLM from either the client side or the server side, we eliminate these additional prompts for credentials. In this fix we are instructing IIS on the Exchange CAS server(s) to offer NTLM as the first authentication provider (with Negotiate as the fallback provider) in the WWW-Authenticate header. 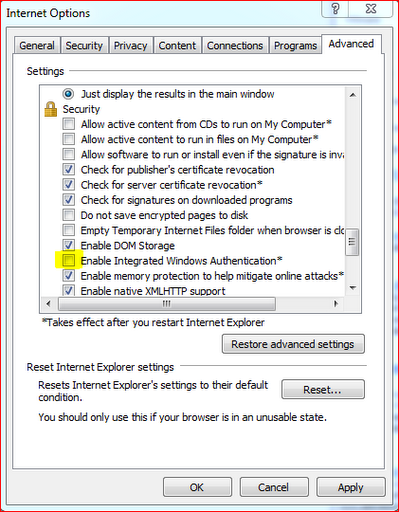 make sure IIS admin service and WWW services are started. That sorted it for me. Just a side note about the TMG rules. I have changed the TMG rule for EWS from Basic authentication to “No authentication, but client can authenticate directly” and added “All users” to the users allowed to authenticate. I did have one final prompt for credentials, probably cause the cache had been altered by my endless testing, but this time adding my credentials was successful. I was having trouble connecting to the Control Panel (The URL worked fine) as well as getting the “Credentials are Required” box on many users. Id get 4 consecutive “Credentials are Required” boxes as below. Manually typing the creds didnt work and cancelling or closing the boxes resulted in the client logging in anyway. BUT as you would imaging there is no access to any of the services as reported on in the warnings. Finally found that an over zelous Administrator had deleted my Lync Kerberos Account. The –UserAccount parameter is used even though we are creating a computer account with this command. To use the Kerberos account, you must assign it to a site. While you can create multiple Kerberos accounts for your environment, you can only assign one account per Lync site. If any servers are added to the topology in the site (like Front-ends and Directors) you will need to synchronize the Kerberos account password to IIS of the new server. Generally speaking the ABS can be problematic from a client or server perspective. I usually start with the client, working my way up from there. Is the Cannot Syncronize the Address Book error experienced by all or just onefew individualy? Simply to delete the local GalContacts.db and GalContacts.db.idx files. You could then wait and after a raondom time from 1 – 30 minutes (default 30 minutes) you should get a new GAL. What if its Server Related? The client side GAL files are downloded from the Lync FE IIS. The URL is visible from the Communicator Configuration information (SHIFT + Rightclick icon). Both sites should present you with an authentication Required box asking for username and password, if you see this the URL is working. 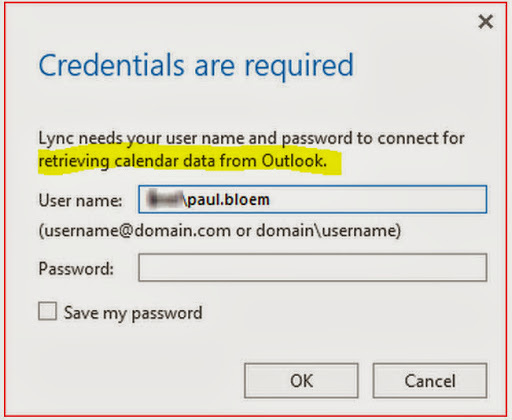 The data located in the backend of the url is situated on the Lync Share that was created during the install process. Ensure that the share is still valid by navigating to it from one of the clients (clients should have read access). You can remedy this by re-publishing the Topology followed by running the Deployment Wizard. The time and date stamp on these indicates when they were initially created. The file structure ia as below. The second level 00000000-0000-0000-0000-000000000000 folder should be time stamped with the last time the AddressBookService was updated (with approximatly 5 minutes added to it). You could run a Update-CsAddressbook PS command and after about 5 minutes the folder should be updated. Deleting the second level 00000000-0000-0000-0000-000000000000 folder removes the corrupt file. Simply running another Update-CsAddressbook PS command will recreate the folder and its contents. 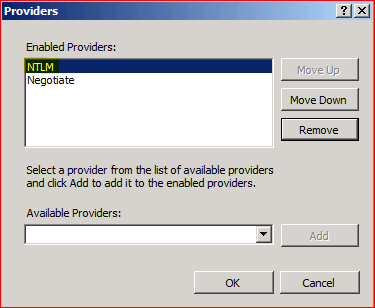 If the IIS bits are misbehaving its probably best not to fiddle with tnem as the rights, paermissions and accounts required are configured by the installer. What you could try is uninstall lync web component module (control pannel > uninstall …), delete web component directory (C:Program FilesMicrosoft Lync Server 2010Web Components) then reinstall web component through lync deployment wizard.